An ambitious space mission is in the works that promises to reveal extraordinary unseen wonders of the universe. 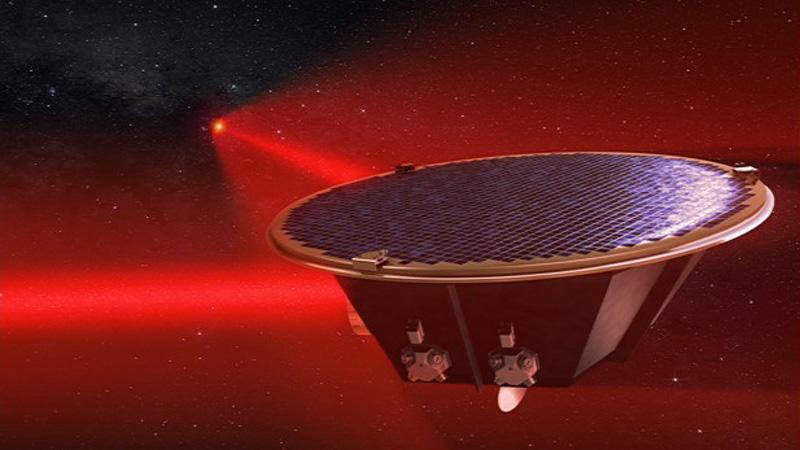 Unseen, literally; the mission, named LISA, is an instrument designed to detect not light waves, but gravitational waves. These are rippling undulations in the very fabric of space produced by bizarre events like merging black holes, colliding neutron stars, and supernova explosions. LISA (the Laser Interferometer Space Antenna) is a mission of the European Space Agency, in collaboration with NASA, now under development. LISA's launch will take place sometime in the early 2030s. Once deployed in space, LISA will consist of three spacecraft separated by millions of miles, linked by a laser beam split between them. 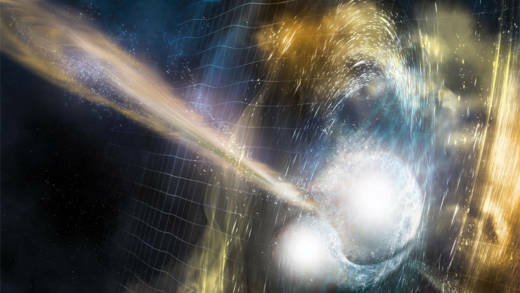 Using the technique called laser interferometry, where patterns in the light of combined laser beams signal tiny relative changes in distance, the trio of spacecraft will be able to measure the minute changes in distance between them caused by a passing gravity wave — changes smaller than the diameter of a helium nucleus. LISA will follow the pioneering programs of ground-based gravity wave detectors, the MIT and Caltech's twin LIGO installations, and the French-Italian Virgo interferometer. Gravity waves are fluctuations in spacetime, the name Albert Einstein gave to the "fabric" of the universe "woven" from the three dimensions of space and the one dimension of time. Einstein's Theory of Relativity explains gravity not as a force, as Sir Isaac Newton envisioned, but as an effect of the "warping" of spacetime by massive objects within it, like planets, stars and galaxies. Relativity also predicted that the motion of massive objects should produce waves of gravity that move outward, like ripples on the surface of a pool made by something moving in the water. When a gravity wave passes by a laser interferometer such as LIGO, Virgo, or LISA, the distortion in spacetime causes the distance between the instrument's mirrors to change minutely, which can be detected in the patterns of the laser beam reflected between. Imagine a large jello with pieces of fruit and nuts suspended within it. When something causes the jello to jiggle, the distance between the fruit and nuts may change momentarily as the jello is distorted. For centuries, telescopes have been used to observe electromagnetic waves (light) emitted or reflected by stars, galaxies, planets, comets, asteroids, and clouds of dust and gas, to form pictures of the universe's visible wonders. But telescopes only let us see places and things where light dares to tread. Astronomers have long run up against barriers to the perception of light, such as the interiors of black holes, where gravity is so strong that light cannot escape. Viewing the state of the very early universe, by observing ancient light that has taken billions of years to reach us, also presents a seeing limit, for in its youngest times the hot gases of the primordial universe form an optical "fog" that we cannot see through. Gravity waves, on the other hand, are not hindered in these ways. When a pair of black holes merge together, the disturbance they cause in spacetime becomes a measurable fluctuation, a gravity wave. 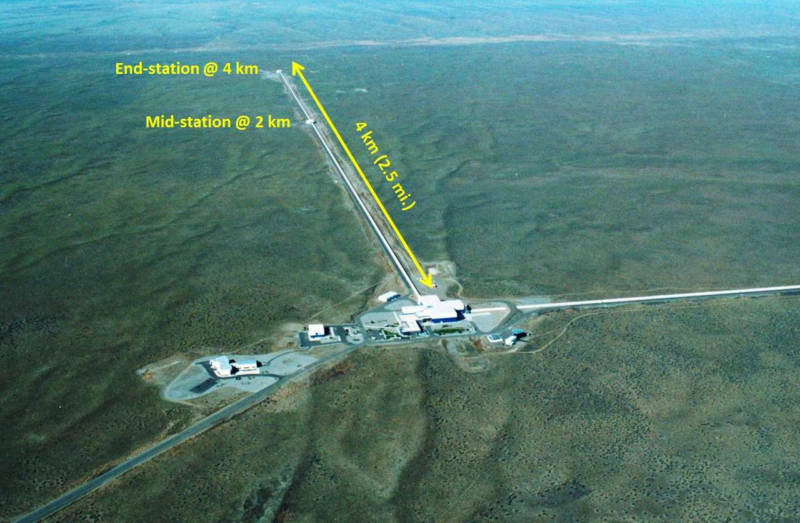 On September 14, 2015, the first gravity wave detection was made, announced in a joint report by LIGO and Virgo scientists. The wave was produced by the merging of two 30-solar-mass black holes, 1.3 billion light years away, and its observation heralded the beginning of an era in which we can not only see what's going on in the universe, but in a sense "hear" things as well. From inside your home, you can see objects all around you — furniture, art, appliances, bookshelves — with your eyes, but what goes on outside may be beyond your sight, hidden behind barriers like walls and landscaping. Still, you know when a big truck rumbles by on the street, or an airplane passes overhead, by the sounds they make. 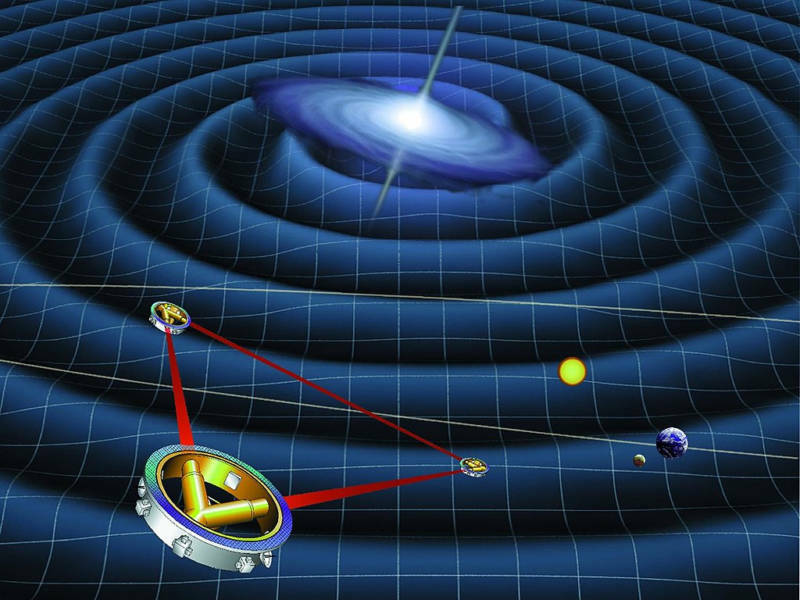 What can gravity waves tell us about the universe? Learning about the characteristics of merging black holes and colliding neutron stars are not the only things astronomers hope to achieve with gravity wave instruments like LISA. Gravity wave observations can give us a better understanding of how the universe has expanded through history, and from that knowledge we may be able to get a stronger grip on the nature of dark energy, the mysterious "anti-gravitational force" that may comprise most of the bulk of the universe. Scientists may also use this source of observational data to test how gravity behaves over cosmic distances, and whether its strength falls off with distance in any surprising ways — which could reshape our entire understanding of gravity and cosmic physics. It has also been proposed that gravity waves produced by the core collapse in a supernova explosion may be observable as well. If so, then astronomers would be able to probe deep inside a supernova as it is happening, another place where light provides no illumination.